Dr. Arunkumar completed his Ph.D. and Postgraduate studies at University of Madras, Chennai, India. He started his carrier as a Senior Executive at Lifecell International, Chennai. He later joined as a Research Scientist at Lifeline Institute of Regenerative Medicine, a unit of Lifeline Hospitals, Chennai. 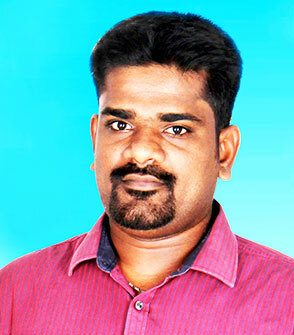 He extended his research knowledge to isolate blood component like PRP, PRF and MNCs for therapeutic purpose with higher successive rate in the field of regenerative medicine and he is currently working as a Scientist in Madras Medical College, in Multidisciplinary Research Unit of DHR/ICMR, Chennai. His primary research interests lie in the area of molecular and cellular endocrine oncology, regenerative medicine. He has collaborated actively with researchers in several other disciplines of endocrine toxicology, drug kinetics, bioinformatics, nanotechnology and tissue engineering which are reflected on his publications in reputed journals. The research area he focused are “anticancer drug and molecular signaling” in cancer biology especially prostate & breast cancer. He also works in Stem cell, nanotechnology and its application on tissue engineering. During his course of study, he has conducted many challenging research projects independently and in collaboration leading to publications among esteemed journals with good impact.